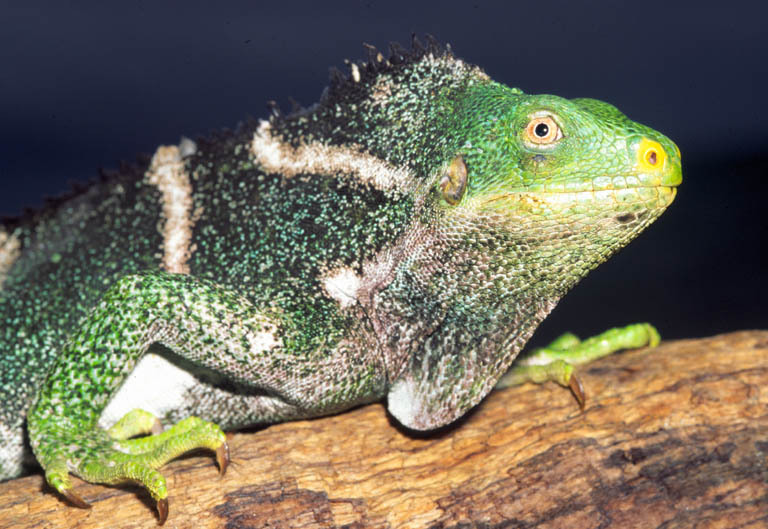 The family iguanidae is a large family of lizards which, in addition to the iguanas, contains anoles, horned lizards, casquehead lizards and many others. 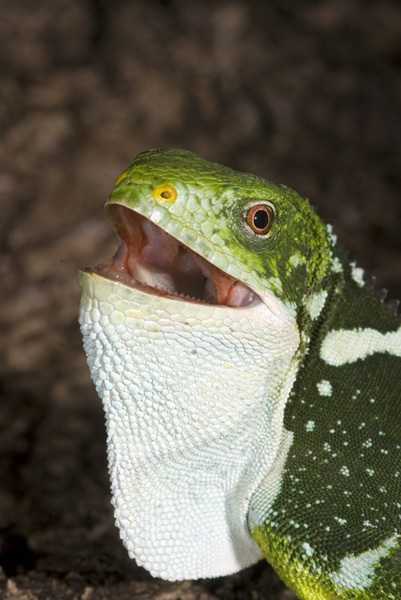 Representatives of the family are mostly found in the Americas with outliers in Madagascar, Fiji and Galapagos. 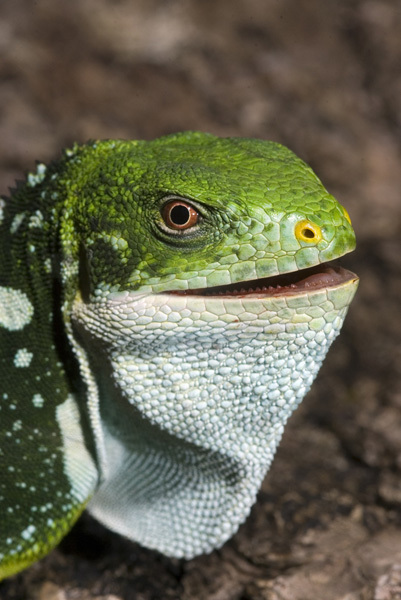 It is hypothesized that the ancestors of the Galapagos iguanas "rafted" there and subsequently speciated. 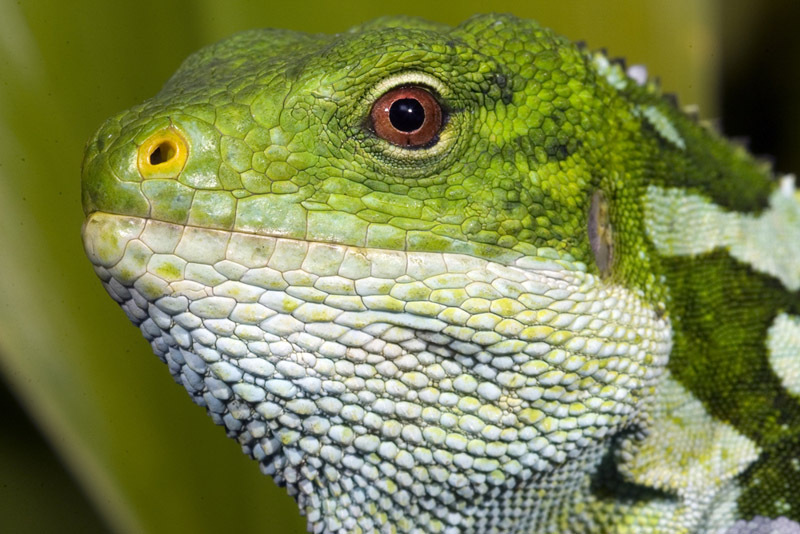 A similar explanation has been put forward for the presence of three species (and possibly four plus one extinct giant iguana) in Fiji. 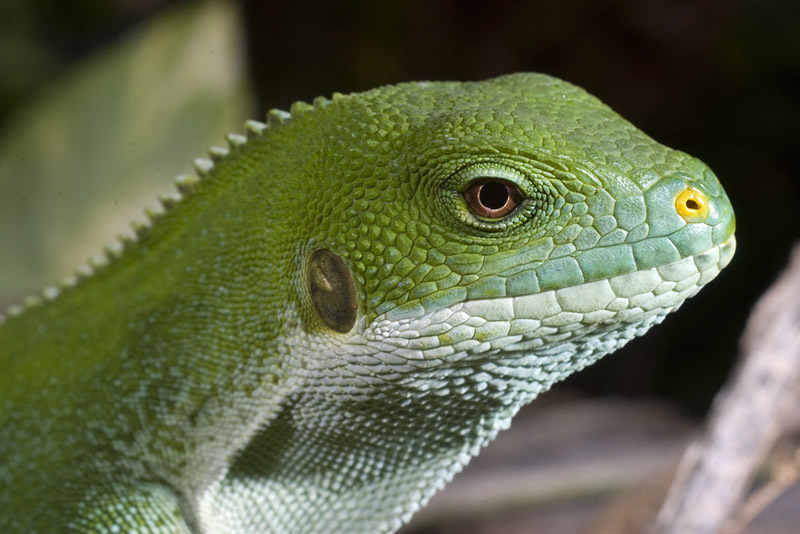 An alternative idea has iguanines making it into Fiji and Tonga from Australia when they were all still part of a southern supercontinent. The only fly in the ointment for this idea is that no fossil remains have been found in Australia. Thor Heyerdahl (he of Kon Tiki raft fame) claimed that petroglyphs in French Polynesia represented caimans and were proof of a South American connection. 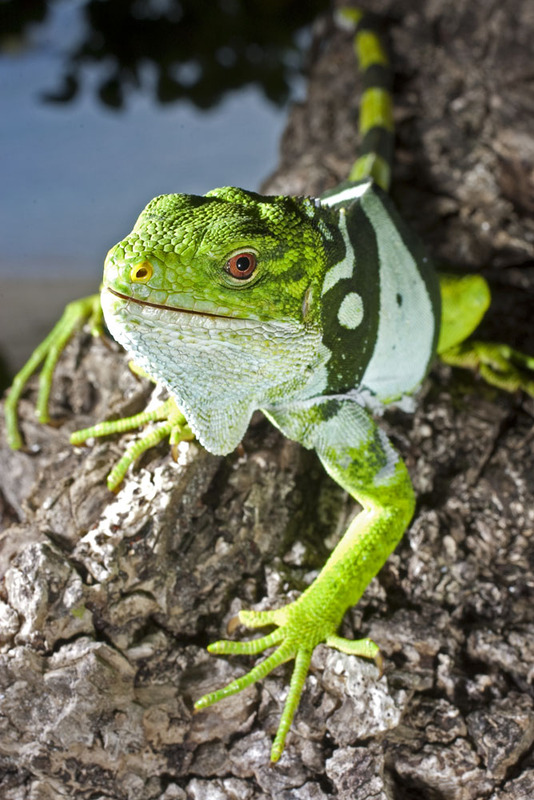 Perhaps they were representative of the iguanas living around them? 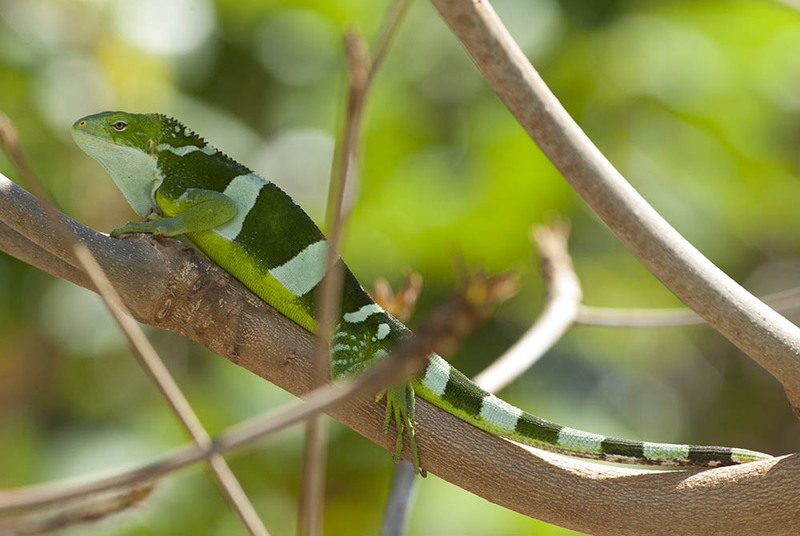 I have been lucky enough to see and photograph both the Fijian Crested iguana and the Banded iguana in the wild. 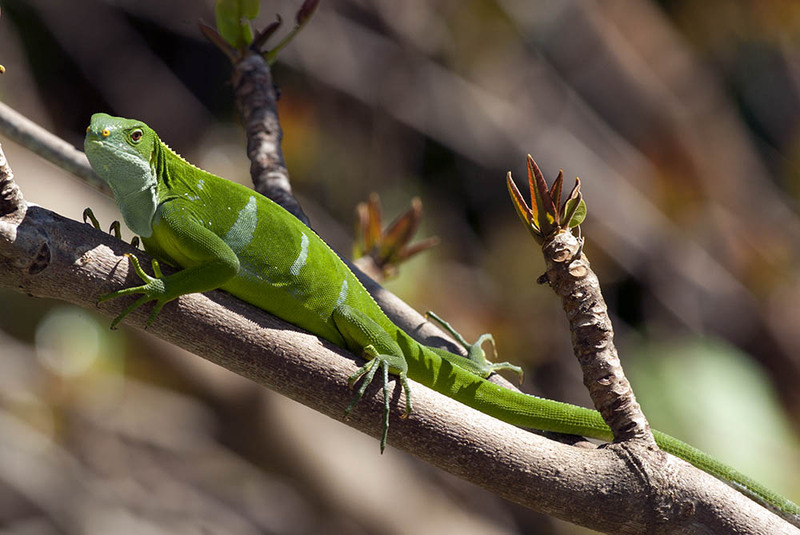 All of the banded iguana photos below were taken in the wild. 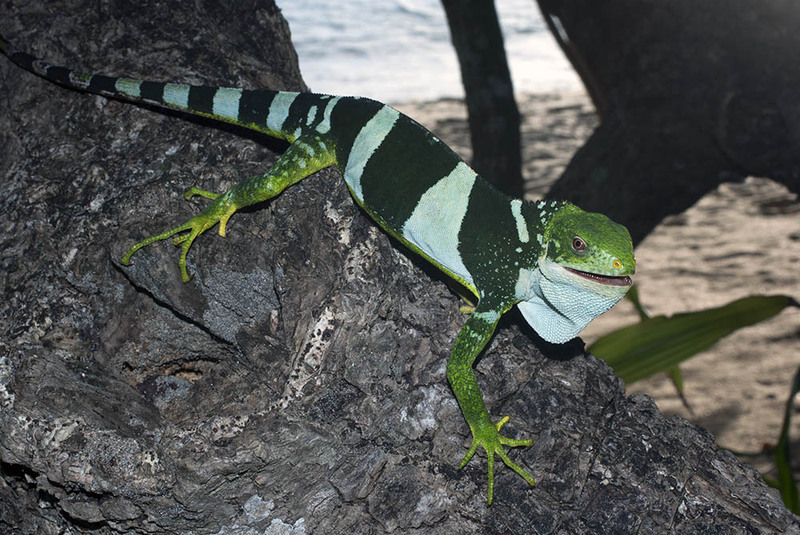 I was staying at a dive resort and casually mentioned to the owners that I had never seen a banded iguana except in captivity. Their response "We see them here all the time" floored me. And the follow up comment "There's one over there in that tree" - completed the knock out punch. During the course of my stay I saw 6 adults and one juvenile! 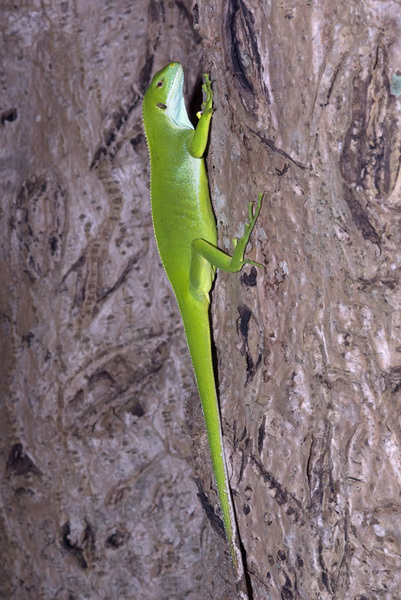 Male Fijian banded iguana Brachylophus bulabula on tree, Kadavu, Fiji. REP 8315 Male Fijian banded iguana Brachylophus bulabula on tree, Kadavu, Fiji. 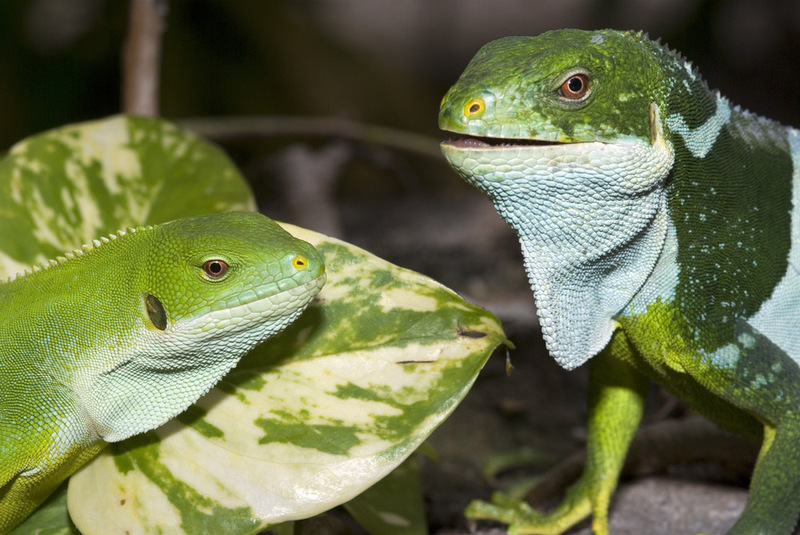 Wild Fijian banded iguanas, Brachylophus bulabula (fasciatus). The male (right) bit me (deservedly so) immediately after this photo was taken and ascended a nearby tree. 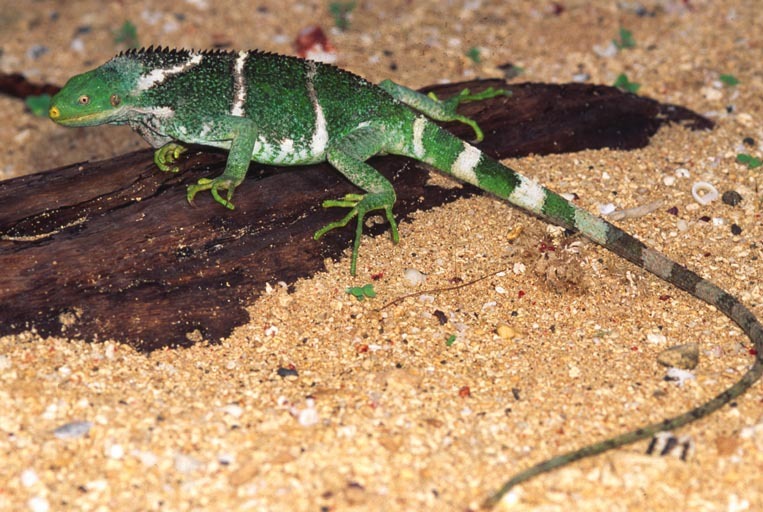 Male banded iguana, Brachylophus bulabula (fasciatus), in threat posture (he really meant it). Kadavu, Fiji. 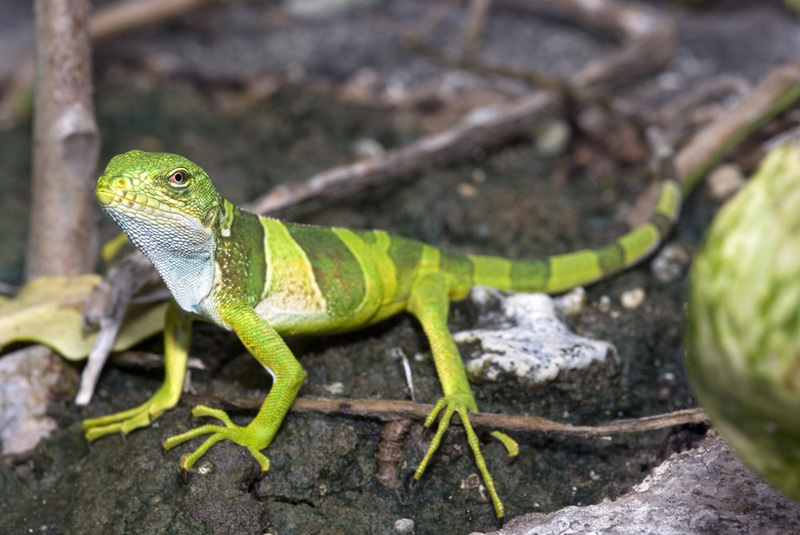 Juvenile banded iguana, Brachylophus bulabula, Kadavu, Fiji. 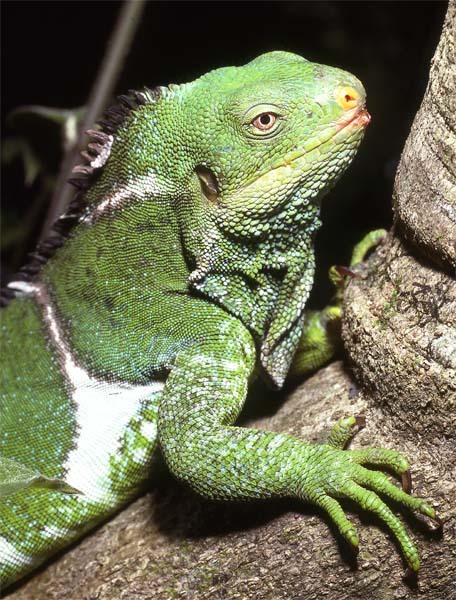 Male banded iguana, Brachylophus bulabula, Kadavu, Fiji. 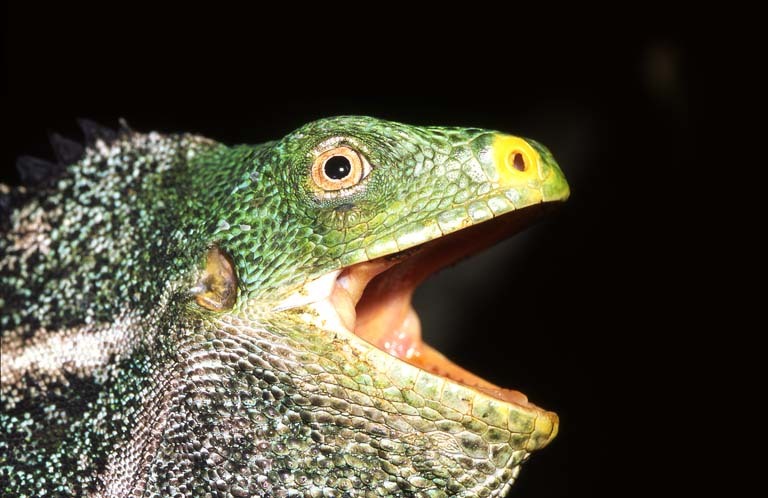 Female banded iguana, Brachylophus bulabula, Kadavu, Fiji. 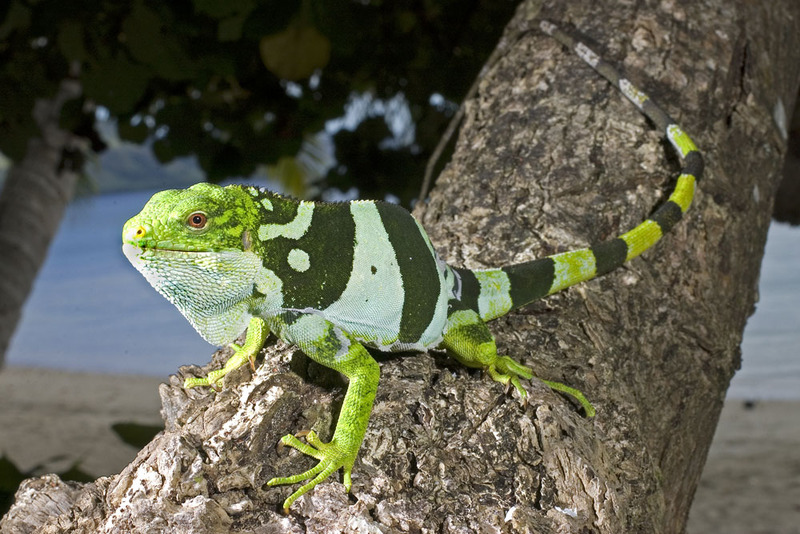 Female banded iguana, Brachylophus bulabula, on tree trunk. Kadavu, Fiji. 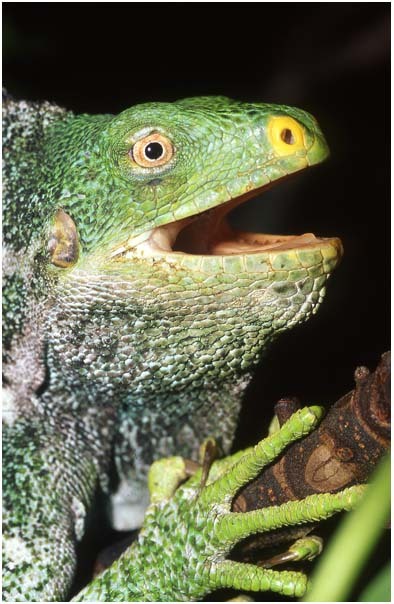 REP 1051 Brachylophus bulabula, male Fijian banded iguana in threat display, Kadavu, Fiji.